Among the legions of saxophonists is only one who rules the genre. Gerald Albright is the living epitome of passion, competence and mastery. He is a legend. This year he looks back on 30 years of artistic activity. How could you celebrate this better than with an album? The aptly titled album 30 is a retrospective revisiting twelve albums with ten songs newly recorded. Gerald performs on this album alto, tenor, baritone saxophones, C flutes, bass and alto flutes, bass guitar and drum programming. He is joined by James Roberson (keyboards, drums, drum programming), Cory Baker (keyboard bass), Rick Watford (guitars), Sethe Tucker, Selina Albright (vocals), Chris “Big Dog” Davis (keyboards, keyboard bass), Judge “JJ” Williams, Chris Coleman (drums). The journey starts with Sooki Sooki from Gerald’s 7th Atlantic release Live To Love (1997), re-released on Concord Records in 2009, also to find on the compilations Funky Jazz Partyand The Very Best of Gerald Albright. The original is a groovy smooth jazz ballad, while the new version has an edgier funky attitude with a more pronounced horn arrangement and a modern keyboard accompaniment. 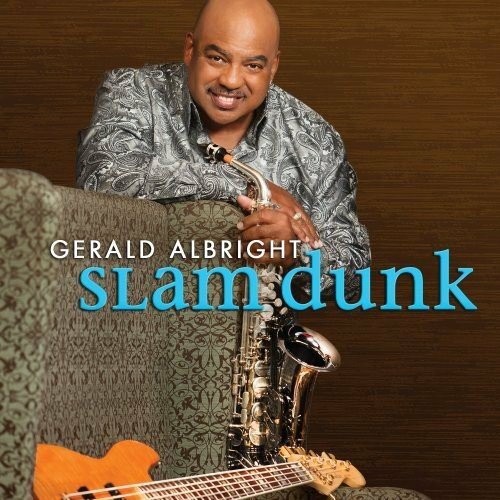 Gerald Albright is praised by critics to the skies for years. He has earned it through albums and performances. Compared to other saxophonists, he succeeds to keep a personal touch to the game. His new album 30 (2018) represents 30 years since the release of Gerald’s debut release Just Between Us. This anniversary project is a reflection of some of Gerald’s favorite music that he has written over the past decades. 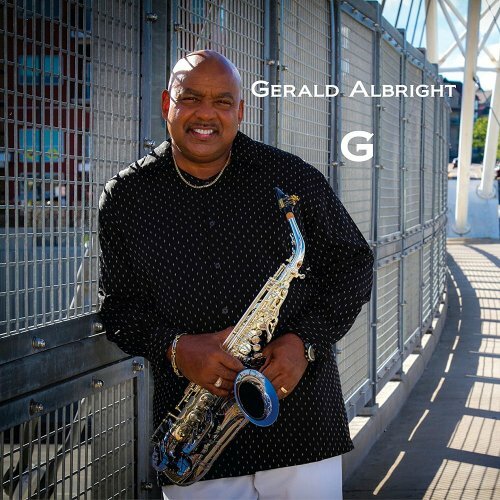 Although the songs are action packed with new and unique arrangements, spearheaded by Albright, Chris Big Dog Davis, and James JRob Roberson, this CD is one of Gerald Albright’s finest releases to date. 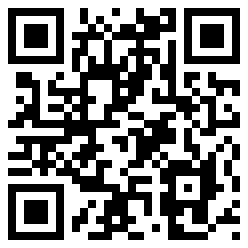 Get the album right now on Amazon.com. Five years ago, after Dave Koz and Friends released Summer Horns—the GRAMMY-nominated album that paid tribute to classic songs featuring killer horn sections—all that the musicians could think about was how much fun they’d just had. They toured behind the album during the summer of 2013, then vowed to spend the following summer doing it all over again. There was no question in Koz’s mind that a sequel was in the stars, but getting everyone’s schedules to align was never going to be easy, each participant being a headliner with bookings well into the future. It took a few years but finally, says Koz, through “divine intervention,” a window of time opened up so that everyone could be in the same place at the same time. Saxophone legend Gerald Albright started his career with Just Between Us (1987), followed by Dream Come True in 1990, Live at Birdland West in 1991, Smooth in 1994, and Live to Love in 1997, all on Atlantic Records, Groovology (2002) and Kickin’ It Up (2004) on GRP, New Beginnings (2008) and Sax for Stax (2009) on Peak Records, Pushing The Envelope (2012) and Slam Dunk (2014) on Heads Up International. His newest album is G, which is released on his own label Bright Music Records. On Taking Control Gerald performs all the horns and in a double feature also the bass. The forceful sax is the kicking solo instrument, while the agile bass runs in between as second solo part. Read Your Mind was an R&B hit by singer Avant from the album Private Room (2003). Gerald Albright fine arranged cover delivers the right shape, depth, and characteristic that you have been missed on the original. Possessing a strong sense of musicality and as a double threat on saxophone and bass guitar, Gerald Albright has collaborated with over 200 artists in numerous genres since he came on the scene in the mid-eighties.Balancing a schedule of session work and solo artistry with seventeen CD’s to his credit, his body of work encompassing multi Grammy nominations and a Soul Music Hall of Fame induction speaks for itself. Slam Dunk is a shot in which a player thrusts the ball forcefully down through the basket. This energy puts Albright in his new album. Here are assisting him keyboardist Chris “Big Dog” Davis, drummer Jerohn Garnett, guitarist Rick Watford, and his daughter, Selina Albright, on vocals. For four decades, the million-selling, GRAMMY®-nominated saxophonist/multi-instrumentalist/ composer/bandleader Gerald Albright has put his serpentine-fired, solo signature on many of the greatest hits of the latter half of the twentieth century; from Patrice Rushen’s “Forget Me Nots,” to Quincy Jones’ “Setembro.” And, he’s been one of the most accomplished contemporary/traditional jazz artists on the scene, as evidenced by his fourteen records as a leader.